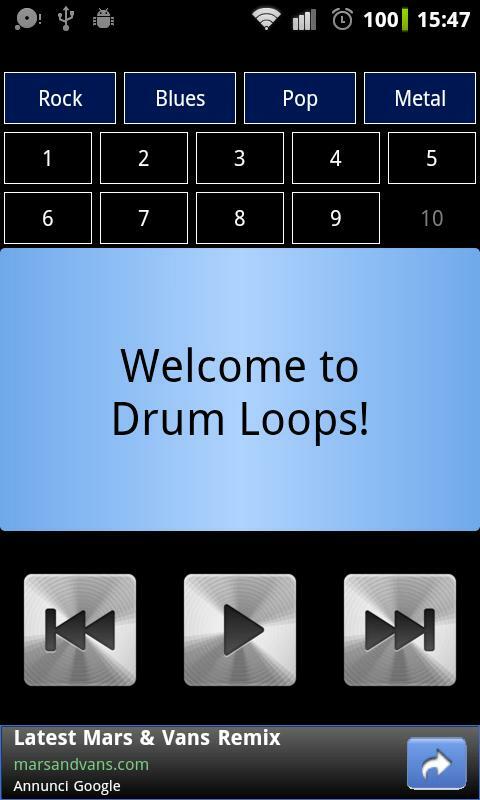 Drum Loops is an app that contains a number of drum loops for practice. If you have a scheduled gig practice and your drummer did not show up for the Nth time, just pull out your Android device, plug it in to the mixer, select the appropriate loop and continue practice. You will be able to select from default drum loops based on music genre. You can then play any straightforward not too syncopated song. This is also great for personal practice to keep your chops in sharp timing. This Android app is still being updated, more functions and patterns will be added in the next releases so check back regularly.